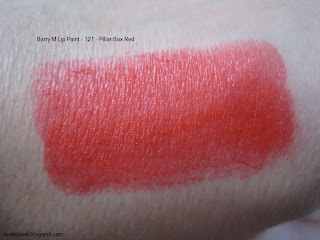 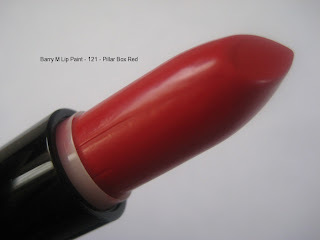 I found Barry M's 121 Pillar Box Red at Topshop last week. 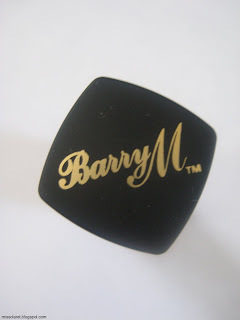 I had been curious about this brand after seeing Sue Denim (from Robots in Disguise and Sue and the Unicorn) and Paloma Faith tweet about it a while back. 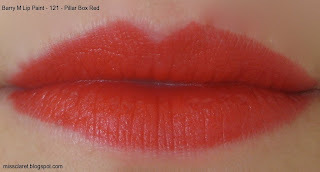 121 Pillar Box Red is a beautiful coral / orange red, it is matte (but not drying) and wears well. 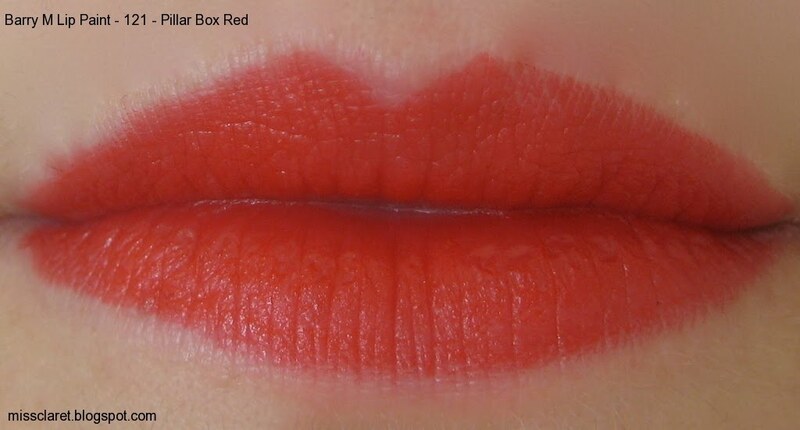 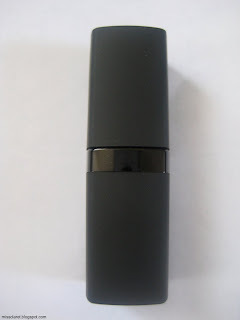 At £4.25, this lipstick is an absolute bargain. 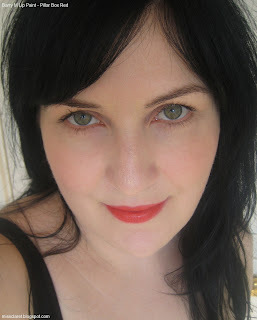 It is hot in London at the moment so please excuse the very minimal and somewhat melted make up look!